To enjoy free Qxpress shipping on Marutai Ramen. -Purchase 6 packs or more. -Choose Singpost Normal Mail as delivery option. We will ship your orders via Qxpress, as long as you meet the 2 conditions stated above. Q: Hi Seller, why i haven't received my Singpost orders? A: Hi Dear, please allow up to 18 working days for Singpost orders, please check your letterbox for your order/ collection slip from Singpost. Q: Hi Seller, whats your coupon password? A: Hi Dear, please click the SIGN UP AS MEMBER link on the store page, you'll receive upcoming passwords via E-Mail. Q: Hi Seller, why i don't see any option in the listing? A: Hi Dear, so sorry, it means the item is Out Of Stock, restock usually take place within one month. Q: Hi Seller, whats the expiry/best before date? A: Hi Dear, please whatsapp me directly at 87666938 to check the updated expiry/best before date of the product. We'd like to recommend you to use Qxpress as your preferred shipping option. It is a secure and faster way for you to receive the parcel(Usually orders before 12pm today will receive the order on the same day or latest next working day). For Singpost normal mail, it can take up to 28 working days, some bulky items may even require recipients to collect it personally at Singpost. Please note that we will not be able to do refund in case of Singpost lost mail. Thank you once again, have a great day ahead! 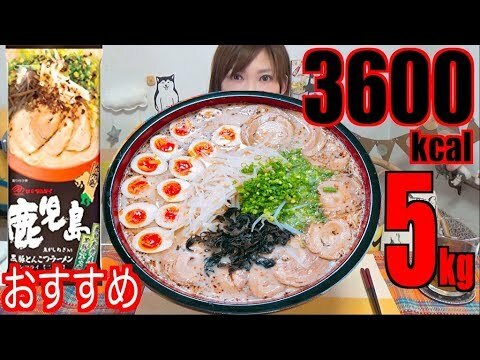 Japanese Marutai Ramen, ramen made easily at home. Fast delivery. My second purchase. Love the noodles. The noodles arrived promptly and in good condition. Appreciate the quick delivery. 2nd time purchase. good buy. items are packed in a box. no yet try. no yet try, no yet try. How to get Free Qxpress Shipping? Hi seller, I choose 1+1 promo at $6.60. At checkout, it became $9.60. I tried this twice & the same happened. Is promo over? how to join the mailing list for coupon? please join thru the link at shop main page. Dear Seller, I have placed my order on 1st March 3019 but until now I have yet to receive my order. Kindly advise. Thank for contacting us, please advise the cart number/order number. [NEW] PORK NACHO Luncheon Meat! OTAH/MALA Available too! BUNDLE of 3x 340g! Product of Singapore! Classic New York Cheesecake by Cat and the Fiddle from Celebrity Chef Daniel Tay!